Instead of an exploitative relationship in which China is the only winner, Africa’s political elite can indeed fight back. 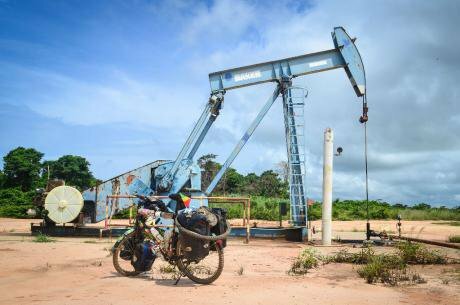 Oil pump in Zaire province, Angola. jbdodane/Flickr. Some rights reserved.Before the dramatic fall in international oil prices over the past year, a decade-long commodity super-cycle helped unlock oil resources in frontier markets across Africa. High oil prices brought hundreds of billions of dollars into the continent, giving political leaders in Africa’s petro-states the means to cement their power at home, but also wrestle a larger share of their energy stakes from western and Chinese oil companies alike. In Africa’s New Oil, Celeste Hicks traverses these post-millennium petro-states to consider whether they can avoid the gross corruption, environmental destruction, and violent conflict that has been attributed to the oil industry on the continent. In an ambitious and pioneering account, Hicks travels from the scrublands of the Sahel, down to the Gulf of Guinea, and across to soon-to-be producers in east Africa, to sketch out the dynamic politics and development prospects on Africa’s new oil map. 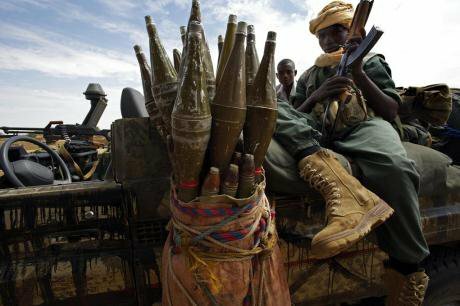 Rebels in Eastern Chad, September 2008. Sam Mann/Demotix. All rights reserved.In Chad, the thickest part of her thin volume, Hicks begins her story with dead rebels at her feet. In mid-2009, at the direction of Chad’s president Idriss Déby Itno, the "Armée Nationale du Tchad" laid waste to 200 rebel fighters outside the town of Am Dam. Hicks, a former BBC correspondent, is invited by the Chadian government to see the smouldering battlefield first-hand. The army’s victory brought an end to a longstanding rebel threat. On two separate occasions since 2005, rebel groups from eastern Chad rocketed across the desert on pick-up trucks to nearly topple President Déby in the capital N’Djamena. Reaching the gates of his palace, only a resolute presidential guard and French logistical assistance prevented a coup. Now in power for a quarter of a century, Chadians commonly refer to Déby as "Le Grand Survivant". Oil fuelled the Chadian president’s longevity. When production began in 2003, it was timed perfectly with a sharp ascent in international oil prices. 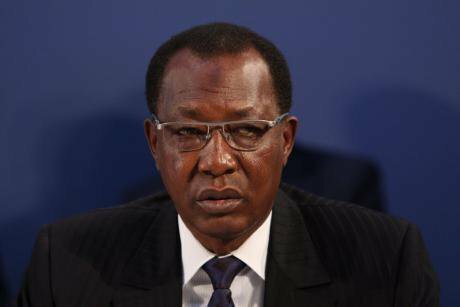 But instead of harnessing the newfound fortune to alleviate Chad’s dismally high levels of poverty, illiteracy, and sickness, President Déby went on a buying spree of attack helicopters, armoured personnel carriers, and reconditioned Sukhoi jets. By 2014, $4 billion — of a total of $10 billion generated from oil — went to the military. The large expenditures served their purpose: the army nullified the rebels and Déby remained president. Living and working in N’Djamena from 2008 to 2010, Hicks witnesses Déby ‘splash the cash’ of Chad’s petro-boom. Beyond new tarmac roads and a refurbished capital, however, oil made a shallow impact on development in Chad. Hicks visits showcase projects in the oil town of Doba, only to find near-empty university corridors, understaffed hospitals, and a stadium where goats quietly munch on the football pitch. Repairing fibre optic cables that follow the oil pipeline from Chad to Cameroon. Ken Doerr/Flickr. Some rights reserved.15 years ago, a World Bank-orchestrated project was designed to produce a far different outcome. It helped bring landlocked Chad’s oil industry to life through a 1,070 kilometre pipeline to the Cameroonian harbour of Kribi. The World Bank’s financing role was small in size, only providing several hundred million dollars to a $3.7 billion project led by ExxonMobil. But it was instrumental in committing Chad to passing a law to spend portions of its oil revenues on health, education and other social sectors. Chad became a laboratory to promote transparency and accountability. 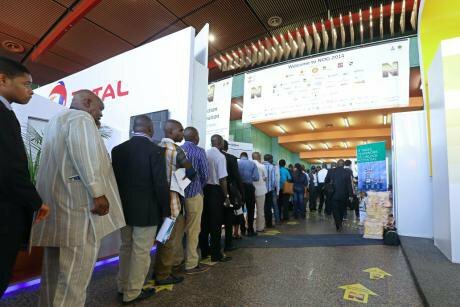 Chad became a laboratory to promote transparency and accountability in a wasteland of development failures among African oil producers. But with rebel groups literally at his doorstep in 2006 and 2008, President Déby had other concerns. He was quick to rewrite the law to include security expenditures, a move that led to the departure of the World Bank from the project. Hicks wins the trust of both civil society groups and oil managers, demonstrating how a long and dedicated stay in Chad can produce specialist knowledge that generalists covering Africa all too often overlook. 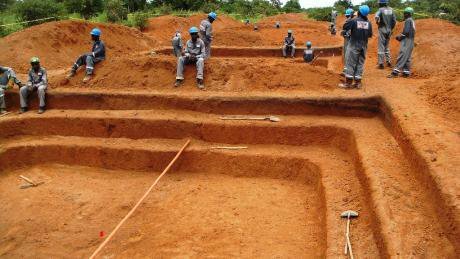 Her forensic analysis reveals how key tenets of the Chad-Cameroon pipeline project, such as an effective environmental management programme, actually stayed intact despite the World Bank’s exit. But what is more remarkable is that President Déby, leader of one of the world’s poorest countries, was able to bend the will of the world’s leading multinational financial institution. Idriss Deby, 13 February 2014. Foreign and Commonwealth Office/Flickr. Some rights reserved.A combination of oil and new Chinese investment underpinned the Chadian president’s bravado. A double-barrelled oil surge of sharply rising production and prices allowed Chad to pay off its debt to the World Bank and reject its conditions on government spending. And shortly after switching diplomatic relations back to China from Taiwan in 2006, the $8 billion in loans on offer from Chinese state banks for a new railway, airport and other infrastructure projects made the World Bank’s earlier financing seem frugal. President Déby even strong-armed the American oil major Chevron and Malaysia’s Petronas to pay nearly $300 million in unpaid taxes, or else face eviction, by exploiting the entry of Chinese oil giants as potential replacements if there was any resistance. Weeks after diplomatic relations were reestablished with Chad, China’s oil giant, CNPC, bought two small oilfields. The first western journalist to visit the site, Hicks speaks with Chinese and Chadian oil workers, even sitting down for a traditional tea ceremony at the compound’s pagoda, to provide a snapshot of the human encounter between China and Africa. But the warm reunion between Chad and China eventually came to an end. In 2013, the Chadian government accused CNPC of flagrant violations of environmental standards in the dumping of excess crude at its oilfield. After an audit, Chad fitted CNPC with a staggering $1.2 billion bill. When the company refused to pay, the government revoked its operating license and sought international arbitration. While the two sides eventually made amends, the CNPC only paid a reduced fine of $400 million and gave the government a higher share of royalties. The Chadian strongman Déby may be developing a green thumb, but the environmental charges were seen as punishment for CNPC’s insistence to charge higher fuel prices at its refinery outside the capital. But Chad’s tough stand with China did not go unnoticed. When Hicks travels to neighbouring Niger, where CNPC built another refinery, locals complain over their government’s lack of ‘chutzpah’ in negotiating with China. Delegates at the Nigerian Oil and Gas Conference 2014. Ayemoba Godswill/Demotix. All rights reserved.In revealing how Chinese investments have become entangled in domestic politics in Africa, Africa’s New Oil is an important and lively contribution to understanding a new phase in China-Africa relations. Instead of an exploitative relationship in which China is the only winner, Africa’s political elite can indeed fight back. The fall in commodity prices may dull the edge of Africa’s negotiating position, but just as they have tamed western ambitions, Africa’s leadership seized a greater stake in their energy resources from Chinese investors. Africa’s political elite can indeed fight back. The merits of Hicks’ work in Chad reveal the limitations of her short stays and shallow reading of Africa’s other new oil states, such as Ghana, where politics could have been unpacked further. But Hicks does reveal new trends in African oil: demonstrating how civil society groups in Kenya and Uganda, for instance, advocating for transparency and accountability before their oil production begins, are learning from each other in hopes of steering clear of the negative outcome of oil in Chad and elsewhere in Africa. Yet despite a new wave of optimism from active civil society and public engagement in African oil, Hicks still urges caution. Political expediency looms large. "Civil society — campaign groups, journalists, ordinary people and opposition voices — has an important role to play", writes Hicks, "but if leaders decide against a step on whatever grounds, protest is often powerless".